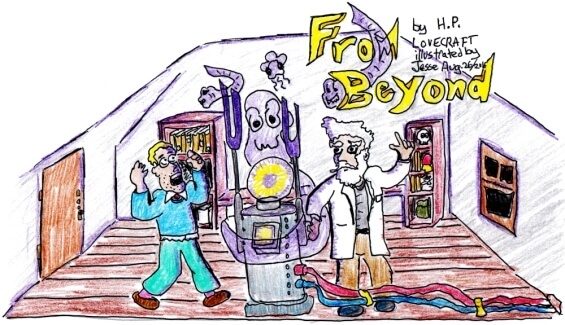 The SFFaudio Podcast #388 – From Beyond by H.P. 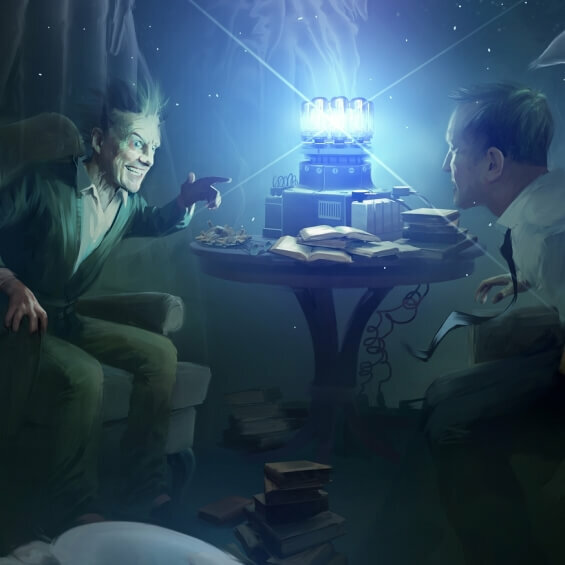 Lovecraft; read by Martin Reyto courtesy of Legamus. 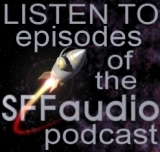 This is an unabridged reading of the short story (19 minutes) followed by a discussion of it. Participants in the discussion include Jesse, Paul Weimer, and Mr Jim Moon. Foremost among the living objects were inky, jellyfish monstrosities which flabbily quivered in harmony with the vibrations from the machine. They were present in loathsome profusion, and I saw to my horror that they overlapped; that they were semi-fluid and capable of passing through one another and through what we know as solids. these things were never still, but seemed ever floating about with some malignant purpose. Sometimes they appeared to devour one another, the attacker launching itself at its victim and instantly obliterating the latter from sight. 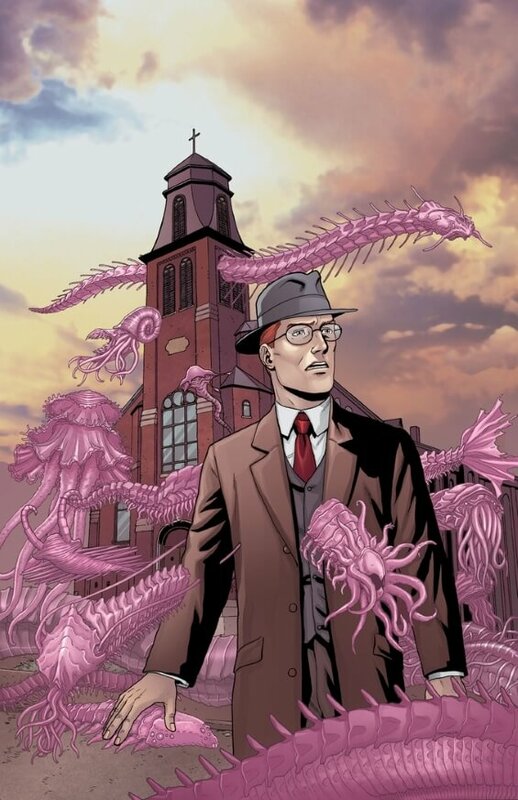 Shudderingly I felt that I knew what had obliterated the unfortunate servants, and could not exclude the things from my mind as I strove to observe other properties of the newly visible world that lies unseen around us. peering to the “bottom of creation” unicellular life, deep into space and back into time, an analogy for the product of science, despair, a 17th century gentleman, an anglophile, From Beyond or The Hound Of Tindalos have jobs, this story is talking about something real, Banshee Chapter, down the rabbit hole, drugs created by the CIA, that’s a real fucked up story, Lovecraftian and Dickian, an acid trip, effecting dreams, “a bronze gate”, a drug instead of a machine, equally an adaptation of The Hounds Of Tindalos, attuned, pineal gland as a radio transmitter, the “numbers stations” radio queue, one of the strangest true things in our world today, a TV repair shop, the NSA, the electrical circuit brought her dissolution, two guys sitting in a room talking about philosophy, The Render Of Veils by Ramsey Campbell, Daolath, shifting planes and shapes, They Live and Eight O’Clock In The Morning, Tillinghast glasses, the political version of From Beyond, having the veil lifted (fantasy), using glasses or a telescope or a microscope or a drug (science fiction), the fantasy version, patient 11, clairvoyance, The Mist by Stephen King, once unleashed, Tillinghast thinks he is the master of the universe he has created, Hypnos by H.P. Lovecraft, fleeting a demon from the demon star (Algol), the distorted face of Tillinghast in the glowing constellation of our galaxy, passing beyond, being consumed, a very rich little short story, shooting the machine, destroying the window, death by apoplexy, apoplexy is for men, hysteria is for women, neglecting the body, met pets are not pretty, aesthetic standards are very different, disintegration, “trembling, eh?”, “they are coming, curse you look, it’s just over your left shoulder!”, is Tillinghast dead?, was it a hallucination?, what happened to the murdered servant’s bodies?, reader beware, we’re not safe, Banshee Chapter is an even more faithful adaptation than From Beyond (1986), their own predatory ecosystem, master or victim?, existential horror, the great world outside is dark and horrible, insanity shattering, sleep well at night.